A man gets on a train with a cake... a blind man gets on the train with him... the man offers the blind man a piece of the cake... the blind man sifts the cake through his fingers before eating it... the blind man strikes the man with his cane and jumps off the train with the cake... and now, this story of espionage, love and political intrigue can begin. Seen by most as a lesser work, Fritz Lang’s Ministry of Fear, in many ways, gives Alfred Hitchcock’s paranoiac thrillers a run for their money. The story of a man caught up in a Nazi conspiracy, the film keeps you guessing and leaves a trail of questions all the way up until the end. Lang directed other films about Nazis before and after this film, but Ministry of Fear seems to be one of his most-often overlooked works. Despite the film containing (in my opinion) too many plot elements and sometimes a mix of tones, I found myself compelled by it, particularly in the second and third acts. The film takes a little bit of time to get going, but after seeing it all the way through, you find yourself re-evaluating the first half of the film. Released by Paramount Pictures in 1944, the film was based on the novel of the same name by Graham Greene, whose novel The Third Man would find greater popularity as a film later on. The screenplay for the film was a streamlined version of the book, being written by Seton I. Miller, and Greene reputedly didn’t like the final film. It was given Lang’s usual visual overhaul, but certain elements that were dear to Green were changed, such as the ending, which was changed almost immediately once adapted. The film features a great performance from Ray Milland, who is one of my favorite actors of the era. His noir-ish touch on the film is just what it needed for us to get up on this conspiracy. The other actors in the film do good work too and Lang’s visual storytelling is on fine display. Although people are more prone to bring up some of Lang’s other works, such as Scarlet Street, M, The Big Heat, and his most famous work Metropolis, Ministry of Fear is great film from a terrific filmmaker, and having it in this kind of quality was well worth the wait. 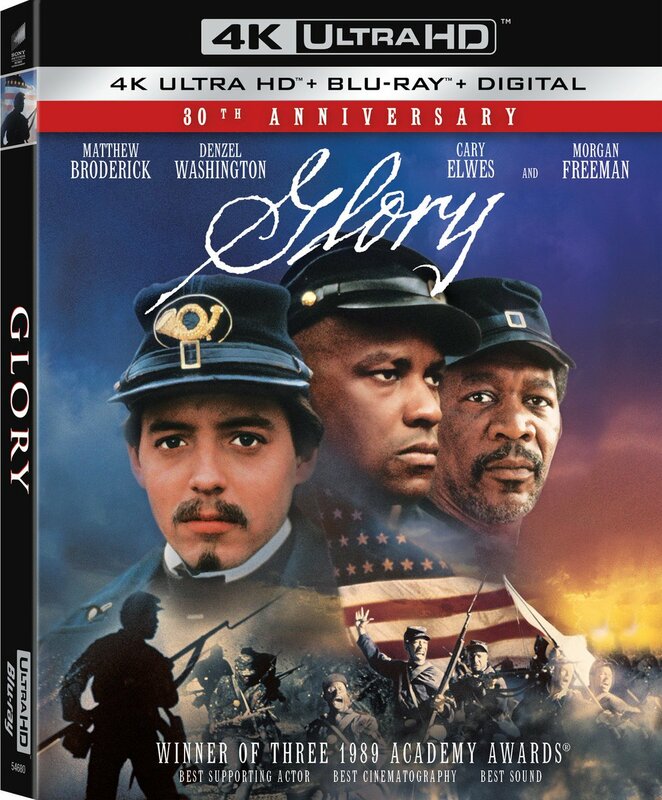 Given a new 2K digital restoration by Criterion, the film looks surprisingly excellent. Not that you wouldn’t expect something of quality from them, but Lang’s work is not always perfect due to years of neglect when handling his films, or seeing them cut up and redistributed in foreign territories upon release. So to have as stable and clean a print as this is a blessing. The film doesn’t seem to suffer from any overt digital enhancement and the grain structure is near perfect. There’s also very little artifacting on display; maybe a vertical line here or there, but you won’t find too many flaws in the print itself. Shadow delineation is also impressive, as is the fine amount of image detail, particularly in close-ups. Blacks are nice and deep and contrast gives the image the proper amount of brightness and exposure that it needs. Overall, it’s a wonderful presentation with very few flaws. The audio is much of the same, which comes on an uncompressed English mono soundtrack. It doesn’t do much in terms of actual sound design, but it’s certainly finely preserved as the film’s proper soundtrack. It’s not as crisp as one would like, due to its age and the audio elements used at the time to produce it, but it does come off well enough. My only complaint would have been to increase the volume by a few decibels or so as I had to turn the volume up a bit to hear everything properly. Otherwise, it’s a good track. There are also subtitles in English for those who might need them. 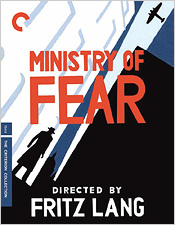 The extras for this release are sparse, but there is a pretty good interview under the title On Ministry of Fear with Fritz Lang scholar Joe McElhaney, which details some points on the making of the film, some comparisons between the novel and the final film, and on Fritz Lang himself. There’s also the film’s original theatrical trailer and a fold-out booklet with an essay by critic Glenn Kenny. So yeah, it’s not much, but it’s something to educate you, even a little bit. I would have liked to have seen a few more extras on this release, but this will do for now. Overall, the Criterion Blu-ray release of Ministry of Fear is not to be missed, mostly for its transfer alone. It has never really been given much of a DVD release in the US, but thankfully, that’s been put to rest now and we have among us another fine-looking presentation of a Fritz Lang film. As I said previously, the film may not garner the amount of attention that some of Lang’s other work does, but it’s certainly not to be overlooked. Very much recommended.